You are here: Home / Featured / Bluehost review 2014. Offer: Free domain name (first year only) and host multiple domain under 1 account. Click here to visit BlueHost and find their latest promotion. 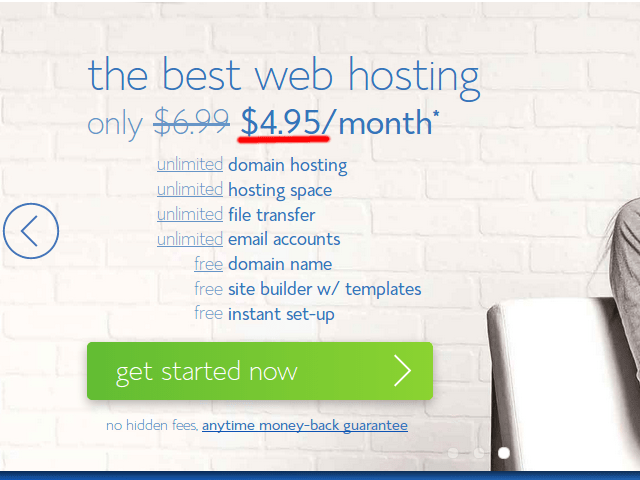 BlueHost is a popular brand name on hosting service. Quality service and generous hosting plan is the key to their success. Bluehost has been on our top ranking for more than 2 years and I have never receive any complaints from our visitors/webmaster. Bluehost is also one of the hosting company using Cpanel. Cpanel is very user friendly and most can start using without any tutorial. Try out their control panel from their homepage. 1. Host unlimited Domain under 1 account. You can host unlimited domain under 1 account. All your domains will share resources allocated to you. That’s means you will Unlimited space for all websites. Each websites comes with it’s own www, ftp and mail. 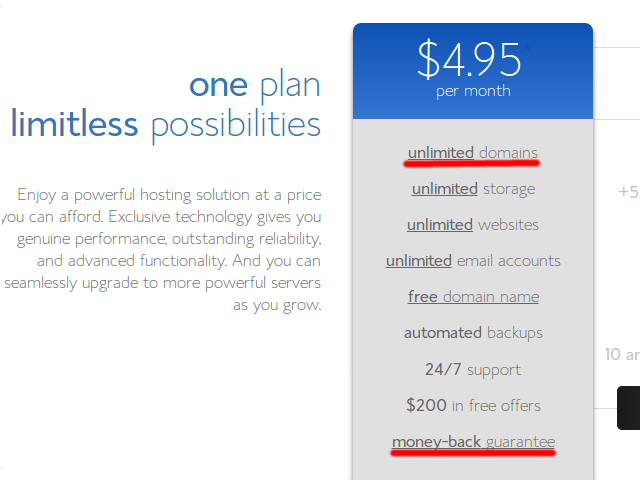 full list of hosting offer unlimited domain. Order for at least one year plan and get your new domain for free (first year only, there after $10/domain/year). BlueHost uses latest CPanel 11, one of the best web hosting control panel. You can setup anonymous FTP accounts with this plan. Most hosting plan doesn’t allow this feature. You have the option to use PHP 5 or PHP 5 with FastCGI. There is a link on the control which allows you to swap between these 2 mode. If you are not sure which to change, contact support. Remember, their support are very friendly. Get 30 days money back guarantee and 100% full refund. 8 . New! Free Website Builder. This new feature is available from control panel. 9 . New! Support Ruby on Rail. You will be first prompt to choose for transfer domain to use new domain, select new domain if you do not have one else choose transfer domain. This user friendly sign-up pages will check for availability of the domain you requested. Do provide a valid credit card during registration and once completed your account will be created usually the same day. They will send you an email telling you your account information, do print it out for easy reference.